Difference Between Contested and Uncontested Divorce? In general, an uncontested divorce is a type of divorce where both parties agree on all matters pertaining to the dissolution of their marriage, such as the division of matrimonial assets and custody of children. By contrast, a contested divorce is one where the parties disagree on these matters and each wishes to file his/her own claim. Proceedings can take place in the judges’ chambers, a private domain that is not open to the public. Proceedings usually take place in open court hearings, where members of the public are permitted to attend. For the parties’ children below 21 years old. Which details their agreed division of matrimonial assets. Detailing the grounds of divorce. To challenge the Plaintiff’s Writ of Divorce. The Plaintiff can then file his/her Reply to Defence to respond to the Defendant’s Defence. For their children below 21 years old. Once these documents are filed, the parties would have to go through a Pre-Trial Conference before proceeding to the trial. Generally proceedings for uncontested divorce are fast and efficient, with hearings lasting around 10 minutes. Proceedings tend to be longer and more expensive, with hearings potentially dragging on for several days. Since the proceedings of an uncontested divorce take place in Chambers, spouses would not have to suffer having their private matters disclosed to members of the public. By contrast, the proceedings of a contested divorce usually take place in open courts, where members of the public are allowed to attend. Hearings for an uncontested divorce generally last for only a few minutes, as compared to a contested divorce for which hearings can drag on for several days. Accordingly, the legal fees payable for an uncontested divorce are significantly lower than that for a contested divorce. While a contested divorce involves the highly adversarial process of litigation, an uncontested divorce can be resolved in private with the aid of a mediator. An experienced mediator would be able to facilitate open and effective communication between the parties, such that the divorce proceedings can be resolved amicably. What are the Differences between Contested and Uncontested Divorce? No one goes into a marriage planning for a possible split down the line. Lack of foresight doesn’t mean a nasty divorce won’t ruin the best of friendships. That’s why divorces tend to be torrid affairs, often bringing out the worst in people. While the breakup is painful, all the legal hurdles that come with a divorce can make anyone pull their hairs out. Not all divorces have to be acrimonious though. Knowing the difference between a contested divorce and an uncontested divorce can be the difference between a nasty breakup and an amicable dissolution of marriage. 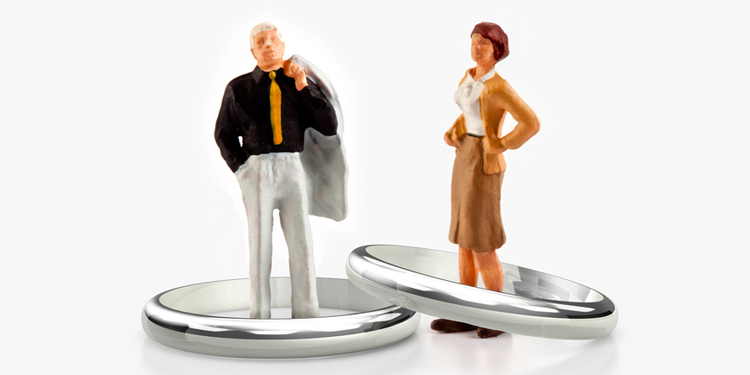 An uncontested and simplified divorce has both spouses agreeing on all matters. In an uncontested divorce, there is no dispute over the reasons for the breakdown of the marriage and the ancillary matters, such as the division of matrimonial property, maintenance for the children and/or spouse and the care and living arrangement of the children. A contested divorce is one where parties are not able to agree on any issue. There’s more than that though. While the definitions of contested and uncontested simplified divorce appear straightforward on paper, each has its distinct set of legal procedures. Here’s a breakdown of the legal differences between these two forms of divorce. In an uncontested simplified divorce, parties are given an uncontested divorce hearing date. However, parties are not required to attend this hearing as it is an administrative process whereby the court will adjudicate on whether there are sufficient grounds to warrant the dissolution of the marriage. If all are in order, the court will grant parties the Interim Judgment. In a contested divorce where parties cannot agree on the reasons for the breakdown of the marriage, the court will be the final arbiter. Parties will be required to be in attendance and will be called as witnesses to the matter. They will be on stand to provide evidence accordingly. After the first stage of the divorce is concluded, assuming that the court is satisfied that the divorce has broken down irretrievably, the next step will be to adjudicate the ancillary matters. The final Ancillary Matters Hearing will be heard in chambers. If parties are represented by lawyers, parties’ attendance will be dispensed with as the lawyer will attend on the party’s behalf. Otherwise, you are required to attend to make the respective submissions / arguments. Notwithstanding the above, if there are children to the marriage below 21 years old, parties to a contested divorce may be required to attend court-mandated mediation. To commence a divorce, the filing party will have to prepare several divorce court documents. The other party will similarly have to prepare certain divorce documents. If you have a lawyer, the lawyer will usually assist in the drafting of these documents. However, you will need to provide instructions to your lawyer and provide full and frank disclosure on all information relevant to the disposal of the divorce matter. In an uncontested simplified divorce, parties are required to reach an agreement on all matters, including the division of matrimonial assets, the care and living arrangements for the children and the quantum of maintenance for the children and/or spouse. When parties are able to agree on an arrangement, the parties are more likely to abide by that arrangement after the agreement is converted into a formal court order as the arrangement would have been in line with both parties’ position. In contrast, in a contested divorce, the court will adjudicate and make an order on all matters that cannot be agreed upon. While the court will take into consideration both parties’ position, the court is not bound by it and has the discretion to make any order deem fit, based on the circumstances of the case and the prevailing law. As such, there could be a situation where neither party is happy with the court order vis-à-vis their respective positions. This could result in non-compliance of the court order and unleash a new set of problems for both parties. An uncontested simplified divorce will cost less than a contested divorce. This is largely because there is less work required in an uncontested simplified divorce whereby parties would have already reached an agreement on all issues and parties would only require the lawyer to assist in the drafting and the filing of the relevant court documents. If all the papers are in order, neither the parties not the lawyer need to attend court. In contrast, for a contested divorce, the lawyer may be required to be involved in negotiation work. There will also be significantly more documents to draft, whether or not you are the Plaintiff or the Defendant. The lawyer will also be required to attend court on your behalf, and in cases where there are children, the lawyer will also attend the mediation sessions with you. In an uncontested and simplified divorce, the total time required from the date of the filing to the grant of the Certificate of Final Judgment will be about 4 months. In contrast, for contested divorce, this may drag for over a year. A contested divorce opens up both spouses to adversarial legal litigation. Communication becomes almost impossible when the parties to the divorce view each other as enemies. In an adversarial setting of a contested divorce, people almost always lose their temper. Things tend to get heated when couples battle for the children or who gets the family house. In contrast, in an uncontested simplified divorce, parties are more likely to maintain cordial relationship especially in view of the fact that they managed to reach an agreement. This is particularly important in cases where there are children and parties are still required to co-parent with one another after the divorce. It is important that you find the correct divorce lawyer to represent you in your matter, regardless whether it is an uncontested simplified divorce, or if it is a contested divorce. The ideal divorce lawyer will provide you with cogent advice, assist in drafting the necessary court documents and keep you updated on the progress of your matters. You can rest assure that your rights and interests are safeguarded when you have effective legal representation. Gloria has been a qualified solicitor since 1996. She is an advocate & solicitor, barrister, mediator, negotiator and collaborative practice lawyer. Being a certified Associate Mediator at the State Courts of Singapore and the Singapore Mediation Centre, Gloria is able to assist the clients to achieve settlement even in acrimonious matters. Amongst others, Gloria is a qualified Parenting Coordinator. With this skill set Gloria helps parents to cooperate and resolve children’s issues which may arise during and post high-conflict divorce proceedings with heavily contested child custody issues. She has similarly presided over many collaborative divorce matters and matrimonial disputes to successful resolution as a role of a Collaborative Family Practitioner. Gloria has also represented clients in the course of litigation, both at the Family Court and the Appellate Courts. She constantly undergoes training workshops and attends seminars in order to ensure that she is updated with the ever-changing legal landscape.